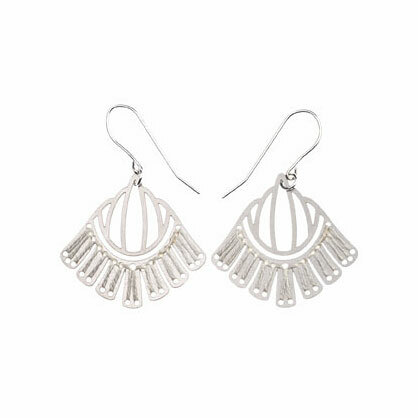 We adore these earrings! The delicate design is stitched with fine thread - an intimate and integral design element. The white thread fuses seamlessly with the stainless steel frame.